Is your next even around the corner? 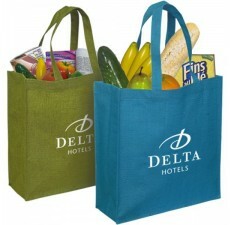 Are you tired of the same old promotional products everyone is peddling at the convention? 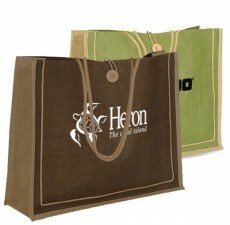 Our biodegradable eco-friendly jute bags are the cure for the convention blues. 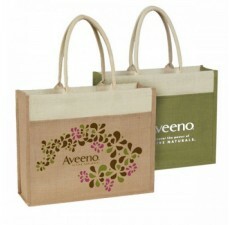 These bags are made of natural jute material which is one of the strongest natural fibers. 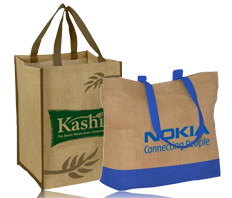 From the convention, to the grocery store, to a day at the mall, your jute bags will be able to handle the wear and tear you place on them. 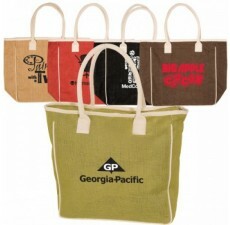 Show your customers you care about the environment and make our jute bags your go-to bag!